Don’t ever doubt it. God is looking out for you. I saw my husband go to the emergency room for his first experience with atrial fibrillation, where the heart beats rapidly and erratically. Often, the heart corrects itself within a few minutes, but Jack’s heart rhythm didn’t resolve, even after several hours of medication in E.R. The cardiologist admitted Jack to the hospital, had him hooked up to a heart monitor and an I.V. drip, and changed his medication several times, attempting to get the heart to revert to a normal rhythm. We were within hours of Jack needing the invasive procedure of electro cardioversion, or electrically shocking the heart. Praise God, 19 hours after the heart went out of rhythm, it resolved on its own around 5:00 in the morning. God is looking out for you with even more vigilance. How comforting! God’s attention is focused on you. He’s watching you like a hawk. Is life pressing down on you with all kinds of troubles? Are you feeling crushed in spirit and broken in heart? God hears you. He will deliver you. He is close at hand, watching whatever is trying to get at you. Did you see who the Lord protects? The righteous. God’s attention is focused on the righteous who fear him. Like a vigilant cardiac nurse, He is ready to run to your side whenever you cry out. Those who fear the Lord lack for nothing. What is fear of the Lord? Many define fear of God as reverence for God. Let’s get more explicit. Let’s unpack this according to what Psalm 34 says. cry out to God when they are in trouble instead of relying on their own strength. Why should we fear God more than the things that can harm us on this earth? Why should we fear anything that is less than God? He is bigger than anything that can harm us. He is the one we should fear for He holds life, death, and the scales of eternity in His hands (Luke 12:5) We should be far more concerned about what will happen to our eternal soul than what will happen to our earthly life. When your heart is right with God, nothing will separate you from His love. 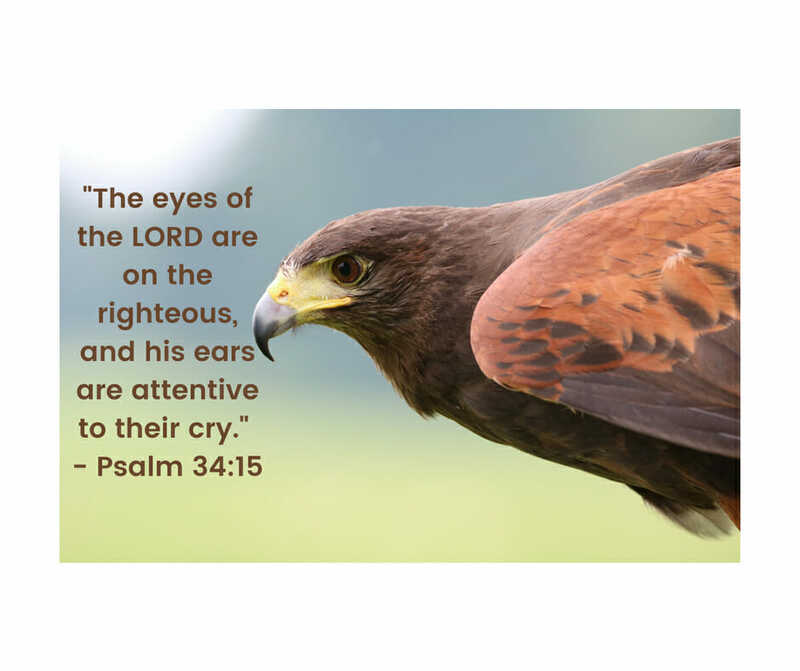 He will focus His attention and watchcare on you. But He wants you to ask. Catch those words, cry out. Crying out to God means more than a folded hand, sedate prayer request. It’s a gasp of desperation. “Lord! I need You.” When you do, you can count on His deliverance. He’s looking out for you. What’s giving you trouble this week? Stop right here, right now. Tell God you need Him. Cry out. He wants to hear from you.